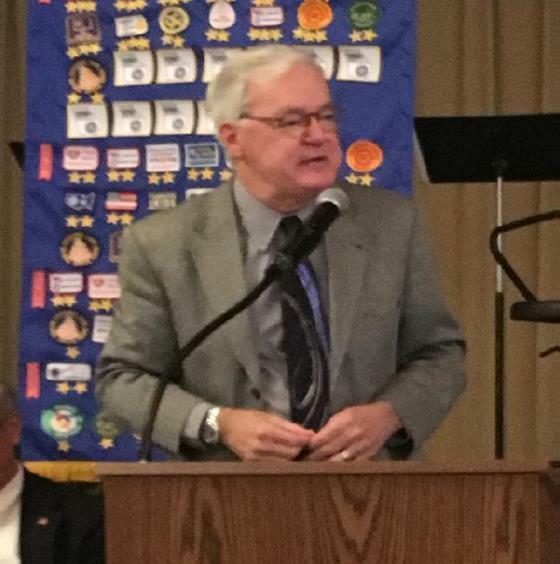 The Exchange Club of Macon hosted Dr. Charley Chase for a “One Nation Under God” presentation. Dr. Chase is the author of “Grace, Focus, Optimism” and holds a live ministry twice a week on Facebook around the topic of his book, which is available on Amazon. Dr. Chase is married, with 4 children and 7 grandchildren. After teaching Bible for 11 years at a Presbyterian Day School, he now shares his views as an inspirational speaker. Dr. Chase spoke to the Club about “Encouragement in a Discouraging Time.” American is in trouble, deep turmoil and divided. It is a discouraging time to live and raise children. It is not the American in which we were born and raised. Dr. Chase encouraged everyone to “ask what you can best to for your country.” His answer is for every Christian to become a Red Hot Christian to empower change.